Russians love their heroes. 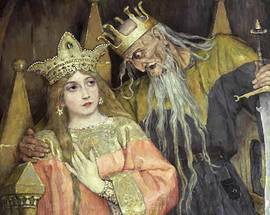 Here we give you the lowdown on the most celebrated heroes from Russian folklore. Whether they’re looking to name a new restaurant or just a bliny (pancake) such as the Ilya Muromets bliny sold at Teremok stalls throughout the country, in today’s Russia these markers of Russian’s folklore can be found almost everywhere. Even 1 January is a Russian day of remembrance for Ilya Muromets who remains the only hero of Russia’s epic poems to have been canonised by the Russian Orthodox Church. Just as with European folklore traditions, Russian tales feature traditional heroes whose kindness, bravery and loyalty are rewarded. In Russian folklore you’ll also find some dark and complex characters like Baba Yaga living her house on chicken legs and her male counterpart, Koshchey the Deathless, an immortal shapeshifter and habitual wife-stealer. Here is Russia In Your Pocket's list of the main heroes and villains of Russian folklore. 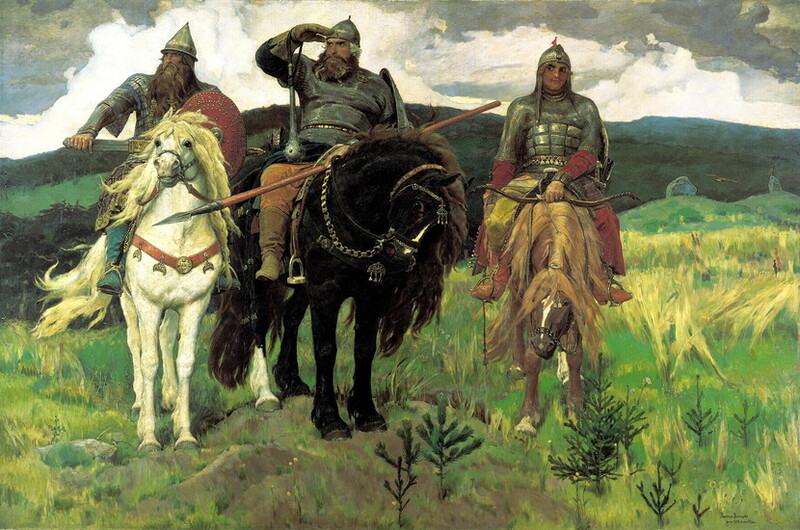 The Russian painter Viktor Vasnetsov immortalised a hefty looking Ilya Muromets and his companions Alyosha Popovich and Dobrinya Nikitich in his painting the Bogatirs, completed after nineteen years of work in 1898. 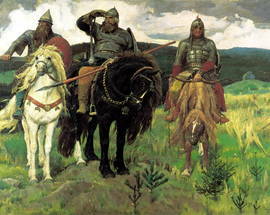 Regarded as the greatest of Russia’s bogatirs (warriors or knights), Ilya Muromets is the massive central warrior sitting atop his steed, poised to protect Russia from imminent danger. Ilya is famed for his almighty strength.He uses it to single-handedly (depending on which tale you read); defend the city of Chernigov from Tatar invasion, fell entire forests and kill off the monster, Solovey Razboyinik (Nightingale the Robber). Solovey, according to the tale by Russian folklorist Alexander Afanasiev, could murder people by deafening them with the sound off his whistle. 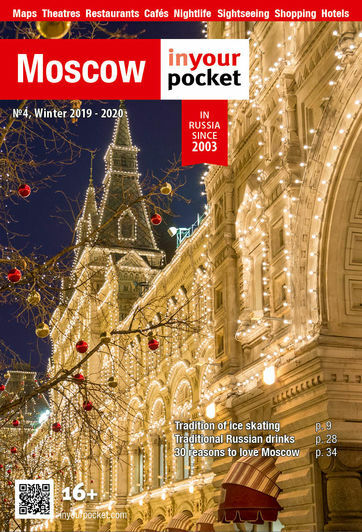 Even today Russians still aren’t fans of whistling, if you compare this with the widely held superstition that whistling inside your house makes your money fly away. Ilya’s two companions are Alyosha and Dobrinya. Alyosha is known for his wits and Dobrinya, for his courage. Alyosha the youngest of the three, defeats the dragon Tugarin Zmeyevish by calling on the heavens to send a black rain cloud to soak the dragon’s paper wings so he can be brought to the ground and defeated. Dobrinya is also a dragonslayer, and renowned for his skill at chess, music and archery. In the tale, Dobrinya and the dragon Gornynych, Dobrinya battles the dragon for three days and just when he is about to give up, a heavenly voice commands him to hang in there for just three hours more, before he manages to kill the dragon. 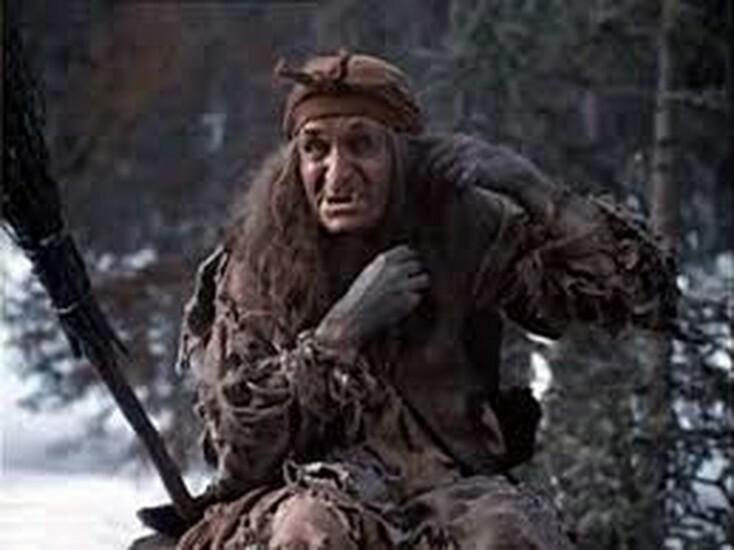 Forest hag and wicked witch Baba Yaga is enough to give kids nightmares and maybe that’s the point. She always seems to be lurking in numerous folktales. Just as her forest house rests on dancing chicken legs, in tales she flies through the air in a mortar using a pestle to steer with. No broomstick for Russia’s Baba Yaga. Human bones surround her house forming a fence, the posts of which are topped with skulls. Usually there is one post left without a skull, so there is still space for the skull of the hero, should they fail in their allotted task. In the tale Vasilisa the Beautiful, the young maiden is tricked by her evil stepmother into going into the deep dark forest to get some fire from Baba Yaga. The good Vasilisa is helped by her doll, given to her many years ago by her dying mother. Through the help of this magic doll, she manages to complete the ever more difficult tasks set for her by Baba Yaga and eventually wins her freedom and (of course) becomes the bride of a handsome tsar. 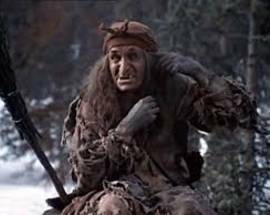 Baba Yaga isn’t all bad though, she has a great appreciation for Koshchey the Deathless, the main male folktale villain, saying to him ‘Medusa’s got nothing on you, Kotschey dear’. Not all characters are easily defined as good or evil. Such a one is the Firebird, in Russian the Zhar-ptitsa. This enchanted bird from a faraway land can bring either good or ill to its captors. Its feathers glow so brightly they resemble a bonfire and even when removed, they do not lose their magic glow. Ivan Durak (Ivan the Fool), is another popular hero of Russian folklore, who chases down the Firebird. Ivan is, typically, the youngest and dumbest of three sons who eventually ends up marrying a princess. ​K​onyok Gobyunok (the Little Humpbacked Horse) is a popular cartoon produced in 1947 inspired by the firebird story and featuring Ivan. In this film, Ivan is befriended by the little horse and instead of having his usual nap under a haystack, he and his new buddy go off in search of adventure. Along the way, Ivan finds a feather from the Firebird and despite the little horse’s warning not to keep it, Ivan pockets it. Soon enough the fact that Ivan has this feather becomes known to the tsar who sends him on a quest to bring back the magic bird. 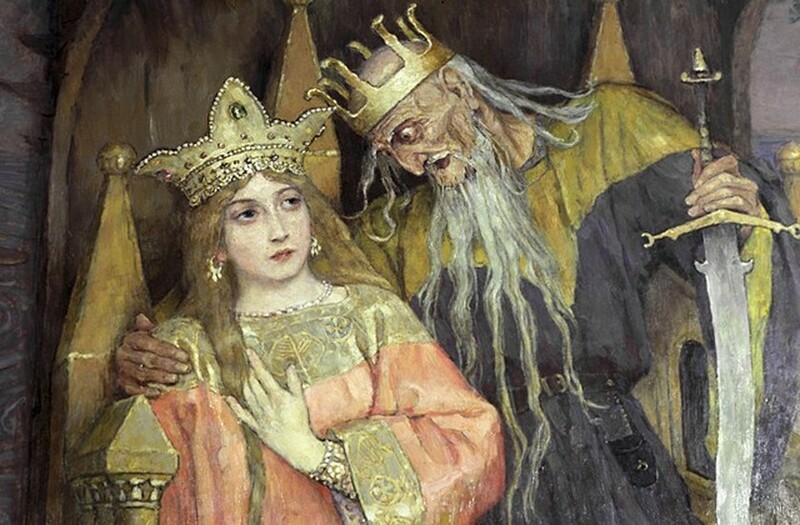 In different tales, Ivan is married to Maria Morevna (he has to steal her back from Koshchey the Deathless), Vasilisa the Wise and Yelenka the beautiful. Such a wonderful reward for such a dim-witted fellow doesn’t stand up to much scrutiny in today’s world but they sure do make inspiring reading for millions of ordinary guys out there!